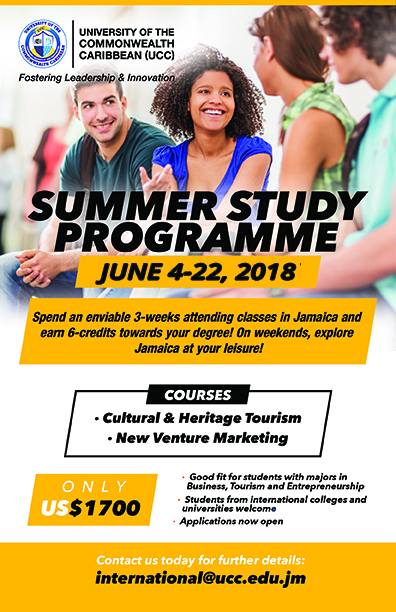 As one of the Caribbean’s leading universities, the University of the Commonwealth Caribbean (UCC) is committed to provide excellent teaching, great learning opportunities and great student experiences which will lead to enterprising and successful careers for all our students. 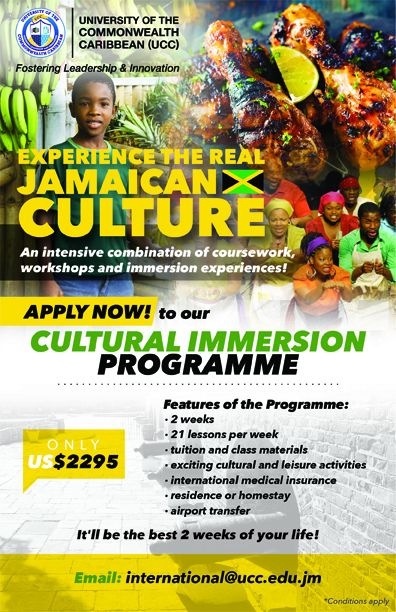 The International Office at UCC supports this commitment by providing opportunities such as International student and faculty exchanges, English as a Second Language classes, faculty-led missions and cultural immersion programmes. As part of its internationalization strategy, the International Office actively looks for ways to establish academic partnerships with Universities and Colleges overseas that will provide unique opportunities for international students to extend their studies beyond the classroom and participate in 2+2, 3+1 arrangements, top-up degrees and internship opportunities among others. 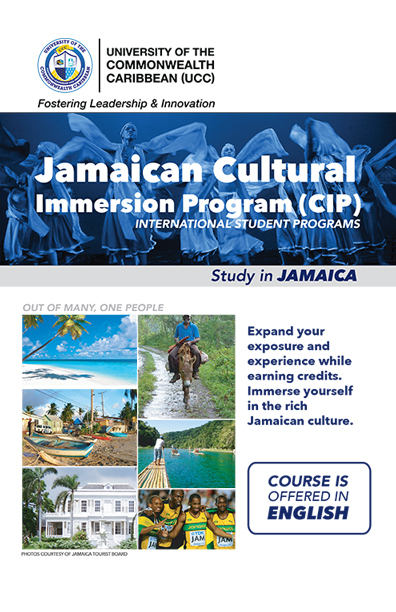 This means that international students literally get a well-rounded education and the best of both worlds – studying and learning local skills while immersing themselves in our rich Jamaican culture and enrolling in an overseas college/university some of which are ranked amongst the best in their country. We also partner with reputable and certified recruitment agencies around the world that have specific knowledge of their local markets that can recruit qualified students for UCC’s expanding list of undergraduate, graduate, ESL and cultural immersion programmes. With the recent addition of our School of Medicine, Health and Applied Sciences, there has been greater renewed interest in recruiting international students and we welcome this. If you plan to attend UCC (and we hope you decide to sooner than later), the International Office is ready to give you all the support necessary before you arrive and throughout your time as a UCC student. Your success is our success; so, we are committed to provide you with information, advice and support as you help us build a more diverse university community that will enrich and transform not only your life but also the lives of every student at UCC. And, we are confident that the impact of our growing international student community – whether it is in the development of new technologies, the emergence of celebrated leaders or ground-breaking research – will be felt worldwide.